Seven months after the Federal Trade Commission sued AT&T’s wireless division for allegedly misleading customers about “unlimited” data plans, and nearly two months after a judge denied AT&T’s attempt to dismiss the case, the Death Star is still trying to choke the government’s lawsuit into submission. By way of background: In 2011, AT&T began getting rid of the unlimited data plans that it had used to lure in millions of customers when it had the exclusive on the iPhone. Customers with those plans were allowed to keep them, but the users who consumed the most data would have their connection speeds throttled after passing a certain threshold each month. The FTC eventually sued AT&T in 2014, not over the throttling practice itself, but over the way in which the company described it to customers. According to the lawsuit, AT&T failed to adequately disclose to customers that throttling could occur, and that it could have a drastic impact on a customer’s use of the service. 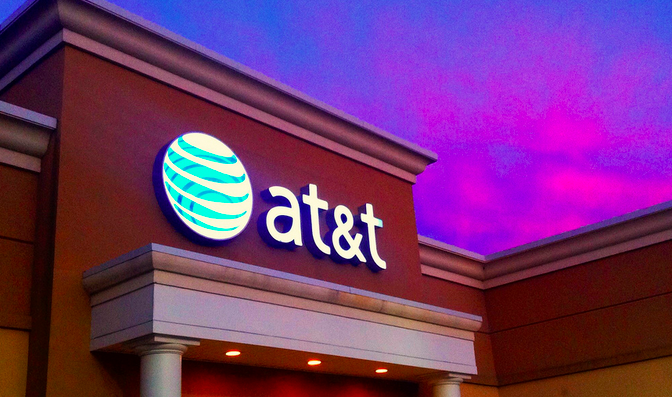 Some unlimited users’ access to AT&T data was allegedly slowed by as much as 90%. At least 3.5 million AT&T subscribers have been directly affected by the policy, says the FTC. Some customers who attempted to cancel their service in response to the throttling faced hefty early termination fees. In response to the lawsuit, AT&T tried to get it dismissed by claiming that, even though the lawsuit was filed before the FCC voted in Feb. 2015 to reclassify data services as a common carrier, AT&T’s wireless phone service is a common carrier telecommunications service which is regulated by the FCC and not the FTC. But this argument didn’t hold water with the judge who denied AT&T’s dismissal attempt in April. The judge ruled that the common carrier exception only applies to instances in which the allegations in the complaint involve common carrier activity. Since the FTC’s lawsuit had nothing to do with the legality of the throttling process, but instead deals with concerns of deceptive disclosures and marketing, the judge held that there was no issue of regulatory overlap. AT&T also argued that the new net neutrality rules — which haven’t even gone into effect yet, and which AT&T is suing to stop — mean that wireless data is now indeed a common carrier. The telecom titan points out that both the FTC and FCC are pursuing actions against the company with regard to the throttling policy. “AT&T has recently learned that the FCC expects to issue, as early as next week, a Notice of Apparent Liability against, and seeking statutory forfeitures from, AT&T,” reads the appeal. The company also claims that the district court’s dismissal denial conflicts with a federal appeals court ruling in another FTC case, FTC v Miller. That 1976-77 appeal involved a company that transports mobile home. It too is treated as a common carrier and regulated by the Interstate Commerce Commission, and like AT&T was being sued for misleading marketing. AT&T argues that the Seventh Circuit ruling in Miller shows that the common carrier exception to FTC enforcement is status-based and not activity-based, i.e., that AT&T’s mere status as a common carrier is sufficient to exempt it from FTC regulation on misleading marketing and deceptive disclosures, even though those alleged violations are coincidental to the company being a common carrier. Now it’s time to wait and see how this case plays out.